Would you get on the boat? Let’s say you met an older guy who had constructed a giant ark, filled it to the brim with animals and, most importantly, claimed to be doing all of this because he could hear God speaking to him? Whenever you run into a person today who claims to hears voices and claims to be hearing the voice of God, my guess is that your response would be to walk away quickly or get them to seek mental help. So, why should anyone have believed Noah? He didn’t perform any miracles or show any signs of supernatural connection. 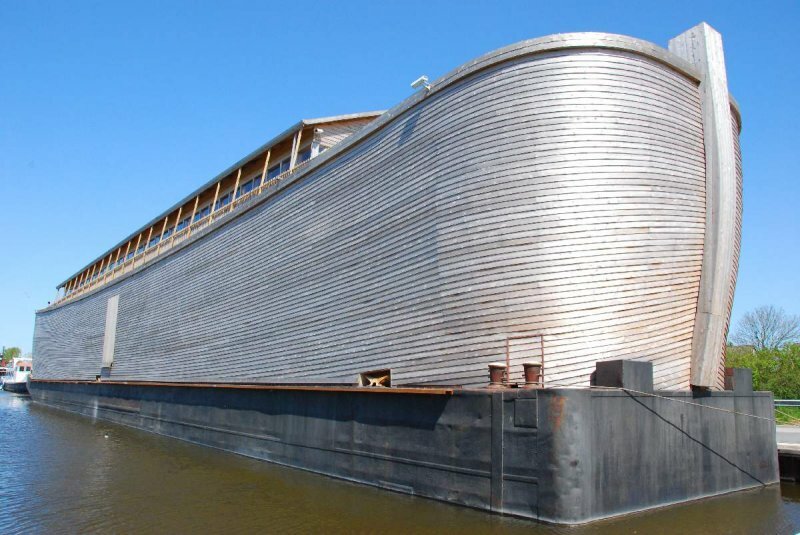 Would you get in his ark? Yes, yes, I know that the Bible also contains a promise from God never to flood the Earth again. Go ahead and replace it with anything else you’d like. Let’s say, the modern day Noah has built a giant bio-dome with a special filtration system for a poisonous compound that is supposedly going to be spread world-wide by God (i.e. the voices in his head). Someone you don’t know… heck, even someone you do know… someone you’ve known for years… is suddenly speaking to God and building some crazy ark/bio-done/etc. Would you really get on it or would you back out of the room slowly?